She is incredibly talented. She's got that spunky style and attitude. She oozes with youthful exuberance. She's been places where she gets the adoration of many. 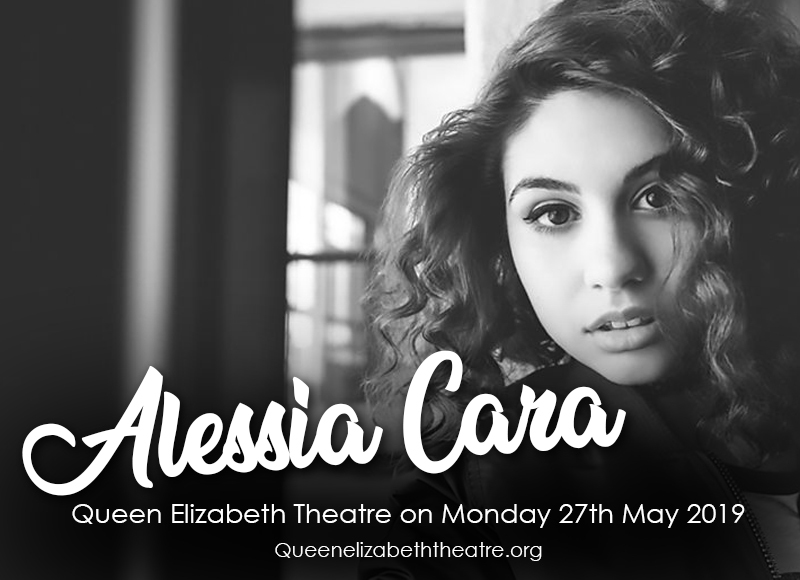 She's on tour and she's making her way down here… Indeed, r&b pop sensation responsible for the megahits "Here" and the voice behind Zedd's EDM smash "Stay" is hitting the stage of the Queen Elizabeth Theatre on Monday 27th May 2019. Alessia Cara's massive online following and the surge of more mainstream audiences following the chart action of her singles and albums will definitely result in a mad dash for tickets. Go for the speedier route without skipping a beat and leaving your seat. You can get tickets with just a click on 'buy tickets' on this website. Get movin' and book your tickets right here, right now! Then 13-year-old Alessia Cara started her own YouTube channel where she channeled her passion for singing and playing the guitar by uploading her cover renditions. A management company spotted her raw talent, seeing the great potential she holds in breaking into stardom. At age 18, Alessia Cara released the breakout single "Here", which pushed her into the limelight where the world saw her dazzling showmanship and incredible talent. "Here" was unstoppable in climbing up the charts all over the world, with Rolling Stone listing it at number 21 on their list of 50 Best Songs of the year 2015. She scored more hit singles which include "Scars to Your Beautiful," "Wild Things", "Growing Pains" and "Trust My Lonely". Alessia Cara also collaborated with and provided lead vocals for DJ and producer Zedd's single "Stay", and with rapper Logic to feature in his song "1-800-273-8255". Cara has four Grammy Awards nominations to her name, including a win for Best New Artist in 2018. As she dropped her brand new album “The Pains of Growing” late last year, Cara is not resting on her laurels, but instead will go on a tour de force.